My last post was heartbreaking...to me anyways. My daughter and I had been dealing with a huge misunderstanding and I just didn't know how to make it better. But God.........that always turns out good. We were in Sunday School class on August 19 and were talking about God's grace adn how he shows it to us when we do not deserve it. I explained that I try to teach my grandsons about "grace" when I could be executing punishment. Sometimes you get their attention by showing grace instead and they are more willing to listen to what you have to say. Well, we get home from church, have our lunch, then Ritzy and I start talking about the situation and what we can do about it. 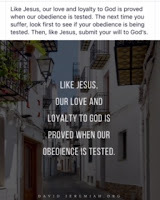 He tells me that his friend with whom he has bible study with every Sunday over at the store was telling him that since he is the leader of this family that is somewhat in his control as to how this all plays out. Ritzy goes outside and I start thinking and praying. I recall the lesson, the sermon, what Ritzy and I just discussed and some Bible scriptures. God reminded me that I was able to show those grandkids grace and mercy so why couldn't I do the same to the son-in-law and daughter........that was hard...... I then made the conscious decision to forgive my son-in-law for all the hurt he has caused my daughter, thus causing me to hurt. I make the decision to tell him I am sorry for the things that she may have told me that could have been exaggerated about him, even tho at the time her hurt was very real. I made the decision to just plainly tell her I was sorry for what I said. I call Ritzy in and told him what I had just decided and told him it was time to go talk to these adult kids of ours. It was up to us to lead by example, we were after all the more mature adults here. To show grace and mercy just like we have been shown God's grace and mercy. Ritzy calls and it will be 8 o'clock before they can see us so we wait and go down there. We prayed before we left that God would take this situation and work it for His good. We get there and it was such a joy to see those precious grandkids again. We waited til the kids went to bed then we started talking. Ritzy had something to say first, then I started by telling Keri that I was sorry for what I said. I proceeded to tell Steven that first of all... I forgave him for all the things done or words said that have caused pain to my daughter. I asked him if I was correct in stating that he was not innocent in all this and he did not deny it. Then I explained to him that I was sorry for the wrong impression I had of him because of the things my daughter had told me. At first he did not understand this "forgiveness"....I explained it like this--I am showing you grace by forgiving the acts you actually committed against my daughter and I am showing you mercy by not clobbering you for those acts. Thats how it works! After talking he said he felt like a huge weight had been lifted off his shoulders.....I told him that's exactly how it should feel. We then were able to talk thru some concerns we all had. Ritzy and I reassured them that we all want the same goal when it comes to the kids. We just may go about it a different way than the parents tho, and we need the freedom to do that. We gave them our support as a married couple and as a family. I reminded Steven that when my child hurts, I hurt......and yes I reassured him that he was my child also. No we can never forget the wrongs done against us or those we love, but we can get to a place where those things do not have a hold on us any longer and that is a wonderful place to be!!! I just pray that we all understand fully what it means to forgive and to be forgiven one day. In June 2017 my Dr and I decided it was time for me to taper off the antidepressant Lexapro that I had been on for the past 13 years. The reason I was put on it was that I was experiencing what the Dr thought was panic attacks. Even tho taking the drug I still had one once in a while. But in June 2015 when I was in the ER for what I thought was anxiety, the attendant looked at the monitor and casually said " oh, you have a-fib".....that was the first time i had ever heard of a-fib. I then realized that I never had anxiety or panic attacks all those years. I spent the past 3 years dealing with the a-fib and was finally starting to feel normal again but was still taking the Lexapro. In June I tapered off the drug over a 4 week period, which the Dr suggested. At the end of July 2017 - 2 weeks after taking my last dose of the drug I was in the hospital because of another a-fib attack. They raised my heart medicine dosage. While there, for the first time I experienced what I know now to be brain zaps and neck tremors. I told the nurses but they really didn't do anything. These zaps continued for about a week, then stopped. I noticed last summer that my vision was changing. It was harder to focus at a distance. I just assumed it was due to my age. I noticed tinnitus coming and going. I noticed I had brain fog where it was hard to really concentrate on anything. This was not like me at all and I knew it, but I just attributed it to the higher dose of heart medication, plus the new one added. Fast forward to February 2018 when one day the tinnitus started and it has not stopped since. Then one night a month or so later as I was about to drift off to sleep, I felt a strange sensation in my head that jolted me to wake up and made me think : what in the world was that? Around the Thanksgiving and Christmas holidays in 2017 I also experienced horrible insomnia. Well in June 2018 I started experiencing the brain zaps accompanied by lightheaded feelings or slight dizziness off an on several times a day, feelings of being off balance, and this is still going on as of today August 14, 2018. This is so frustrating. Along with this comes bouts of crying, muscle twitching, it is horrible. I have tried to tell my Dr that I believe I am experiencing a delayed withdrawal from the Lexapro but she just looked at me funny and said, "No you would have been over that in 2 weeks".......well everything I have read tells me that I came off that drug way too fast. For the length of time I was on it...it should have taken at least 2 years to come off it. I am so angry right now, first because I never needed the drug to begin with because those were not anxiety attacks, they were a-fib episodes. Second, the Dr did not have a clue as to how coming off this antidepressant so fast would affect me. I have since learned thru reading a lot of information out there that I am 99.9% certain that what I have been and am experiencing now is due to antidepressant withdrawal. Withdrawal is real, people!! Do not take these drugs!!! On Thursday August 3, 2018 I decided to go to Sam's and get a few things plus pick up some things for the daughter and her family. I went to her home, put the stuff up and debated on whether to take the twins with me to my house to put my stuff up and come back or make room in her refrigerator. I did the latter. The boys were asking to come to my house and in the back of my mind I was working out a scenario where that might be possible. I then took all of us out to eat, we came back and I was getting ready to go home. The boys and I were at the table and they were asking to come home with me. At first I said no, but they asked a few more times. Their mom perceived this as "whining"
Nimaw's stuff and go. Immediately their mom/my daughter gets up and starts talking about why they shouldn't get to go. I just dropped my head, because ....remember all this stuff I have been dealing with the past year and the zaps get worse in stressful times......I was torn because although she led me and the boys to believe we were going, she starts saying why they shouldn't. After a minute, I said "I'm sorry guys, but I have to do what mama wants". They really really started crying at this time because all we knew was at first it was ok, now all of a sudden it was not ok. The boys and I were confused. The boys asked me why I said they couldn't go with me and then I said something that started a fury coming out of my daughter that frankly scared me and upset the boys. Mind you I have been dealing with this brain fog, brain zaps etc.....I either said " it was mom's fault" or "mom was the reason" they could not go with me.... only meaning that they were going to have to take it up with their mom as to why they were not getting to go with Nimaw. But she lit into me and would not give it up, even after I told her that I just could not do this right now and to please take it up later when I could think clearer. But no.....she thinks that I intentionally demeaned and usurped her in front of her boys. The boys beat me out to my truck, they were upset, but I told them that mama said no but also, I could not leave them that upset. I was trying to calm them down when mom came out. They asked me again if they could go and i said " only if mama says you can"......she tried to engage in another argument accusing me of what she thinks I did, but i would not engage, i just repeated "only if mom says you can" I did that one more time and she said ok. She gave me a hug, the boys and I went to my house, they played for a few hours then Ritzy and I took them home. I am "mom" and I can always tell when something is up. When we got to the boys home, the daughter and son-in-law were acting strange , not much was said. The boys took their showers, we kissed and hugged them by and I thought that was it.............. NOT!!! The next day I gad an EEG early that morning (because of this brain stuff). Ritzy came home and mowed the yard. I sent the daughter a text asking if we could take boys out for supper and she said "Yeah"....then immediately sent a text informing me that she and the son in law need to have a "talk" with us. I quickly found out this was far from over. You will not believe the amount of and the length of texts she has sent to me...... She will not get over the fact that since I said what I said, no matter the reason, it was wrong and I was wrong to do it. Needless to say, taking the boys out was no longer an option. **as of today I have not seen or heard from my grand kids in 12 days**......I then get a text from the son in law the next day informing us that "visits with the kiddos would not be appropriate until this matter is discussed and we have met a common ground" Also receiving a message telling me " i was absolutely insulting and distasteful suggesting the fact that it was not fair to use those precious grand kids as pawns" and in same message he accused me of being "responsible for the complete and utter disrespect and undermining of his wife".....who is my daughter...by the way......... accusing me of things I would NEVER do!!!! Talk about getting the rug pulled put from under you!!!! All I could do at this point was cry........... She refuses to look at the circumstances, the context, or anything else that had an influence on why I used those words. Even tho I have apologized more than once for the way those words made her feel. Had I intentionally said those words or meant them with malice, I would have to own my part in being wrong as she states and it would be all my fault.......But what she and the son in law are accusing me of never entered my mind as i was saying those words. She and the son in law thinks everything is always "black and white" there are no gray areas. Don't get me wrong, there are plenty of "black and white" areas in our lives, but there are also just as many gray areas also. I have tried to tell her that we must always look at the context in which something is said, or we will misread people all the time. Since I have been guilty of that very thing in the past, I can only pray that she realizes this. Even in God's word, we have to look at the context in which it is written. How do you think all these different religions got started? Instead of looking at her part in this, (not saying no in the first place and then questioning my motive) she thinks it is simple....what i said was outright wrong and what she, the mom, said was right, no matter the circumstances......I agree that what I said would be wrong if I had said it intentionally, out of anger, or with an ulterior motive. But it just wasn't that way, because of the way I was feeling, those were the only words I could think of.....at first I told her that I could not discuss anything until my head cleared up for fear of saying the wrong thing the wrong way. Last week I texted her and said go ahead with meeting, no matter what because not seeing grand kids is killing me. I even told her that I would just agree with her just to get this over with, but in my heart I would be lying to her and myself by doing that. She informed me that she did not want that..... So here it is almost 2 weeks later and Ritzy and I are still waiting on them to set up that meeting, which by the way ....the other grandparents do not seem to be held to.......and that hurts!!! I even saw the twins on Facebook with the other grandmother....talk about a low blow. Ritzy and I have sacrificed our resources, our time, our lives a lot of the time when it was not convenient for us, for these kids and grandkids to help out any way we can....the other grandparents come around when it is convenient for them......and we are questioned about our motives. WOW!!!! Have you ever felt that way?? Well that's what I was thinking the other day. Since after the first of June I have been getting little dizzy sensations in my head. Went to the Dr and was told I had an excess amount of fluid on my ears. I could have told Dr that cause I can feel it. It has stopped some but not altogether. It gets very frustrating, has led me to tears sometimes having to deal with it. All the while having to deal with other frustrations that are going on. Can't take the prescribed drugs for problem because of afib. So I am just waiting it out. Very frustrating and disappointing at the same time. Hence the "MEH" feeling. But at the same time, I love spending what time I can with those grandkids. The newest one, Ayris is growing like a little weed. The boys are so protective of her, it is so sweet to watch. Braedy & Calvin spent the 3rd and 4th with us. They didn't feel real good, and this week I have stayed home while they get better. They told me this morning that they are finally feeling better. It all started with little brother Dawson.....then of course the next week the big boys....I sure hope little sister doesn't get it. They just have no appetite, comes with diarrhea, and a little puking....YUK....which the boys did at my house......but, like I said....thank goodness they are on the mend. It is so hot now.....which is normal in Oklahoma at this time of year......that I can't go outside and enjoy my swing until late in the evening. I told Ritzy the other night I was sick of this heat and would love to be where it didn't get over 82 degrees or under 50 degrees during the daytime....I think that would be about perfect. Could have a year round garden which would be awesome!!!! We are just starting to get tomatoes out of the garden. They taste awesome. I hope the weather cooperates and we can keep harvesting them til Fall. I fried a pan of okra, tomatoes, potatoes, onion and bacon the other night. That has to be my favorite summer meal. Along with BLT's ,made with fresh tomatoes! The only thing that is good about this summer weather so far is there seems to be very few to no mosquitos around our house. I really don't know why, but I sure am glad!! I hope to go visit the grandkids tomorrow.....I have face timed them a couple of times this week, but it's not near as good as being there and getting and giving those hugs! This is so true.. It made me think back to a situation that was going on in my life a couple weeks ago. My previous post was about the arrival of that beautiful granddaughter. Well the month and especially the week leading up to her arrival were really stressful for me, Ni-maw/Ritzywife, as I will try to explain here. It had come down to a few days before the shower......I went to the daughter's house to talk to her about my concerns. During the talk I was in tears because I was so upset and not wanting to hurt her in the process.....She tried to justify that the hotel was a different building.... but I told her that God sees them one and the same, and that's how I have to look at them. I also tried to explain to her that situations like this are how we as Christians begin to lose our impact or voice in this fallen world......we slowly start to give in to seemingly harmless actions and before you know it.....we look no different from the world......which leaves me to wonder......what am I standing for and what am I standing against?? After talking, she and I came to a point where we respected each others opinion and we were "ok". i just cannot quite wrap my head around that way of thinking/living.....Gods word even says that it is not possible to profess Christ yet live like the world at the same time.........and all I am saying here is ----i know this would NOT be the right thing for me to do and that is all that matters! Well, during our conversation that day Keri made the offhand remark that even she might not be able to attend her own shower because of the way she was feeling. God was already at work! Friday her dad and I went to help with last minute details and she was having contractions. I told her to go to the er while we watched Dawson and picked up the twins from school. She returned home saying she was supposed to take it easy until Monday the 7th which was the scheduled c-section. The shower was the next day at 2 p.m.
At 6 a.m. the next morning I received a text from her telling me she had not slept all night and was still contracting. I advised her to go to the er. Well she left everyone at home and drove herself. While at the er she was texting me that she was still going to the shower and I could not get an easy feeling about that at all. I finally told her that I would take her because I did not feel comfortable about her condition and driving. I had not slept good at all, either....spent the night praying about this situation, mama, and baby girl. Well, she calls and says Dr told her this baby girl was gonna make her appearance today May 5th ....the day of that shower that I was having this personal/spiritual crisis about. THANK YOU LORD!!! The son and I arrive at the hospital at the same time that "dad" arrives.....He barely makes it because a couple minutes later little Ayris Anne Fuller was born. During all of this, in the back of my mind I was thinking about how God had taken care of this whole situation for me and Keri, that I had trusted Him for the outcome, although I had no idea how it would come about. I personally feel that my obedience was being tested, and it was painful because I felt like I was letting my daughter down........but God.......the best ending to any of our situations in life ever! Being a mom is one of, if not the most rewarding/frustrating experiences you will ever have. It is so rewarding in the fact that you see your kids grow and mature and become responsible adults with their own kids. On the other hand it is frustrating in the fact that they sometimes don't want to listen to "Mom" and her experienced wisdom......the frustrating part is watching them go thru hard times either because of their own choosing or circumstances out of their control. Either way I would not trade being a mom for anything in this world. We have a new granddaughter...yippee....a girl, among all those boys. She arrived last Saturday, May 5, 2018......and I might add...she is a beauty! Her name is Ayris Anne Fuller. Her big brothers adore her. She is not going to have to worry about anything or anyone ever messing with her.. haha! turning green......but by all the itchy red eyes, sneezing, and runny noses.......haha! May and August are not the best months around these parts......but it is beautiful with all the trees leafed out and all the flowers blooming, gardens being planted, and the warm days. It is about time to go to church. Ritzy and I are going to church with the daughter and son-in-law this morning. I hope everyone has a blessed day. rm-ie....Well, there ya go ........ made perfect sense to him. These boys are learning so much and it is amazing to watch the show!!!! Later when P-pa and I took them home I was telling their mom about the incident and Calvin an I had a conversation about sometimes words are not spelled like they sound but that learning would come later. Nimaw told them to keep up the learning and good work and that we were so proud of the young men they were maturing into....Grandkids are amazing! Thank goodness. when we stop learning, we stop growing. That's what this nimaw thinks anyways. My ablation is going good. Ritzy is doing good, the boys and school are doing great, and life is going on..
That granddaughter is coming in May and this Nimaw is so happy. Everything is going as planned. This morning I was reading an article about placing kids in "timeout". That was never an option when I was a child, because it was unheard of in the 60's.....if ya didn't listen, ya got a spanking and that was that. Next thing you know my generation was raising their kids---if you spanked you risked getting a visit from child services. We at our home still spanked, but no timeouts. Now fast forward to our kids raising kids....Here come the timeouts. They seldom work and everyone is miserable. I have seen it with my own eyes. When we expect a 5-6 year old to behave like a teen or adult....we are setting everyone up for failure. They are behaving exactly as they should be......my daughter hates hearing me say that.... and no it is not an excuse for their behavior. It just puts in perspective the reasons they are doing what they do. A lot of times kids get punishment or discipline ( and no they are NOT the same thing) because of lazy parents not wanting to invest the time and energy needed to raise wholesome mature adults in their kids. Most of the time the kids ARE acting their age. It is us, the adults who are not acting our age....and that is a problem!! It creates big problems down the road in the life of the child. When the child misbehaves or disobeys, talk to them about it, ask why they did it and how they think they can avoid it happening again. AND I MIGHT ADD - I AM PREACHING TO MYSELF AS WELL!!! I am guilty!! This is one thing that becoming a grandparent does to/for you. It shows the flaws in your own parenting skills and teaches you that kids are a lot smarter than you thought they were. When we refuse to admit the fact that we could be doing something wrong or have the wrong mindset about a particular idea, we are in for trouble. I have had to admit to my kids that I could have done things different, or I was wrong about certain ideas and yes even apologized! It does not make you weak to admit you were wrong, it makes you human. Only a weak person will never admit they might be wrong!! Getting back to the "timeout's"......At a time when a child needs someone most - they are being sent to a corner, a room, a designated spot to be alone to try to figure out something they have no way of comprehending......to think about what they should do or should have done to avoid the problem. It doesn't matter how many times they have heard it......they are too young to understand and grasp! YES - their feelings are just as real and valid as ours!!! We have NO right to tell someone --- "Well, just don't feel that way"
Our feelings are our feelings no matter what!!! Let your kids express their frustrations, fears, and feelings....because if we don't , they get bottled up and they will come out - someday somewhere....and it is so sad that this has to ever happen to anyone. Do you want your children to feel like they can trust you and come to you as they get older and in the frightening teenage years.....then, let them feel like they can come to you now, without your judgment!!!! I have heard from my own grandson - " but mama doesn't know this or that or doesn't care about how I feel about this or that.....while nothing could be further from the truth, this is how he truly feels and his feelings are valid!!! Taking the time to talk to this child about why he feels this way would prove to him that mama (or whoever) does care about how he feels.... but it's just easier for most parents/adults to pronounce and execute judgment! Invest time, energy, and yes even money in your kids, people.... it is the most worthwhile and satisfying investment you will ever make!!! And we better be asking ourselves - is this child being disciplined because of unruly behavior, outright disobedience, or simply because I was inconvenienced by their behavior. It better NOT be the latter....because, if it is....shame on us!!! Somewhere the cycle has to be broken or sadly it is going to continue!! Will I be the one who breaks this nasty cycle? ?